OK I have RA, now what??? OK, so finally I found out I "officially" have RA and although there is sense of relief I want to know what does Rheumatoid Arthritis mean? Well first, my doctor explained it to me and gave me the various brochures that explain the disease. Then being the "need to know all there is about it" type I immediately went home and began an exhaustive search on the Internet and at the local library to find out what exactly I was in store for. A word of caution here....there is a HUGE range of information out there about different diseases with variances in prognosis, treatment, etc. and it is important to not get overwhelmed with all that you read and hear about. If you can find a few good trusted sources like WebMed, your doctor, the Arthritis Foundation website and magazine, a person you know who has RA, that will give you a variety of sources to turn to without feeling totally confused! So, once you are armed with this new found information it is time to make some decisions about how to proceed....I would recommend setting up an appointment with your rheumatologist ASAP and maybe even a second one if you have that luxury. I did and it only served to provide me with more options and to realize that they were in agreement as to how to treat my own particular case while taking into consideration my needs and goals. So, within about three visits to each I then decided on the one that made the most sense for me geographically and I have never regretted my decision. Deciding what you want to achieve with treatment is the next step and I will discuss that tomorrow and how I determined what I wanted to do....not an easy decision to come by, but very important! Remember to laugh today and to hug someone you love! Why did it take so long to diagnose RA? Back when I first began to have some early signs of RA, it was very difficult to diagnose what was going on with me...at least that is how I now rationalize why it took over a year from my initial symptoms. My family and I had suffered the tragic loss of our baby girl, Kelly, who was stillborn. Coupled with that grief and pain were these random large joint pains I would get...shoulder would be really stiff and painful, my neck would be painful, my hands were a little swollen and tender, I was tired all the time but could not sleep. Doctor after doctor said it was likely related to the pregnancy at age 40 and the loss of our baby. In other words, it was all psychological. At first I bought into that because my grief and fear and inability to sleep clouded my own judgement. But after several months, the symptoms became more overt till finally one day my hip hurt so bad I could not put weight on it and our family doctor referred me to the Rheumatologist I see today. These two doctors saved my life. They recognized that the pain I was experiencing was real and began to treat me - albeit a year+ after my first symptoms. 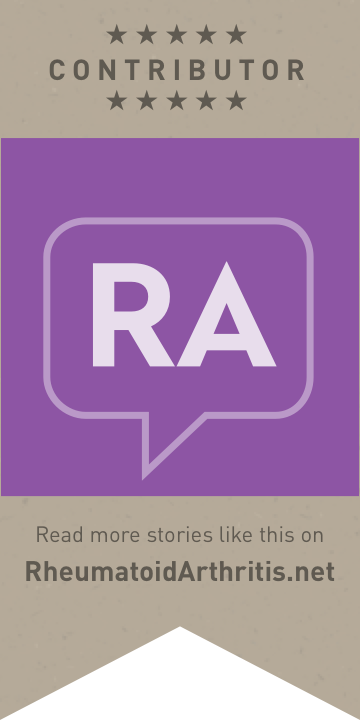 This is NOT unusual with RA partly because it does often manifest slowly and without swelling or redness till you are well into a "flare" or period of RA activity. The key is to not let anyone tell you that it is "in your head" how ever kindly they put it. My husband once told a doctor "Look my wife gave birth, naturally, three times to boys who were all over 9 pounds each so if she says she is in pain, SHE IS IN PAIN!" Although that may have convinced that particular doctor I truly had a medical issue, he had no idea what was going on. I was tested for Lupus, Lyme disease, MS, IBS, Chrons Disease, Sciatica, Firbromyalgia, Chronic Fatigue Syndrome, just to name a few. Several lesson for me came out of this. First, don't give up till you find out what is wrong! The absolute worse time is the period of not knowing what is wrong with you medically. So once that diagnosis is made definitively, as bad as the news was, I was actually relieved to finally know WHAT it was! It was real, not in my head and so now lets deal with it. Another lesson was that I had really been very lucky health wise my whole life, nothing worse than an occasional sinus infection so I had no idea that a disease could be so elusive to determine. That medicine is not as precise and immediate as an ear ache or a broken bone. That lesson has served me well throughout the management of RA as well. Another really critical lesson, find a doctor you can trust, who you "click" with, and who you can respect (more on the doctor-patient piece later). Lastly, let your family in on this process. Let them help you find who you need, be there when you tell the doctor your symptoms, etc. This was a hard lesson for me. I am used to being very self sufficient as my family will tell you, so I thought I could make the rounds to different doctors till I got it figured out without bothering my family. NOT a good idea. You need to let your family help. The more you shut them out the worse your pain and the harder the whole process becomes. Once I accepted the help offered it made the doctor's visits so much more bearable and the person with you is there to add to the discussion which is very beneficial on so many levels! 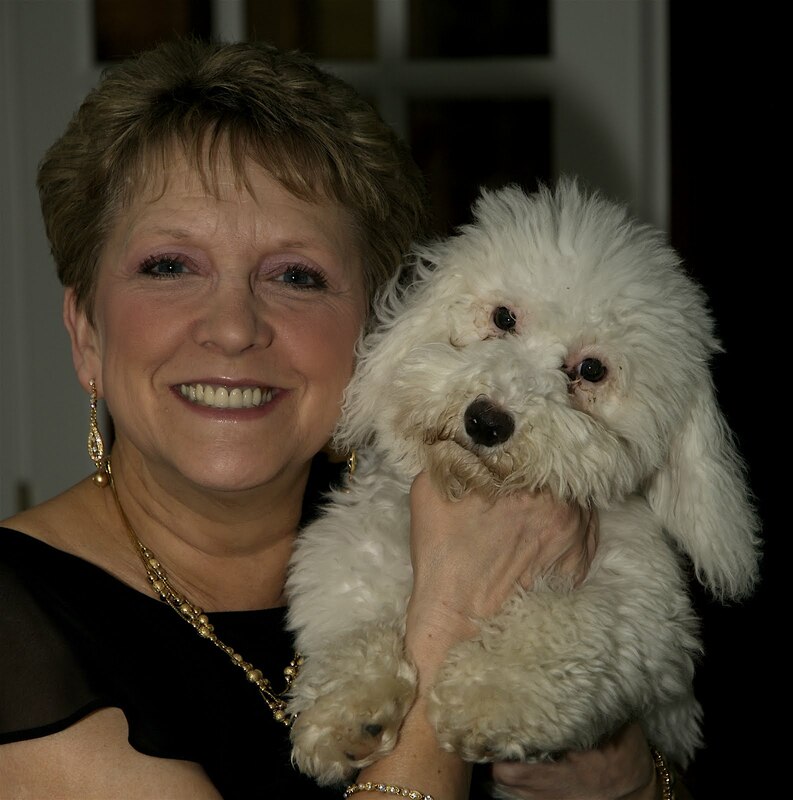 My family and friends were instrumental in getting me through the early stages of RA and to this day are my biggest sources of comfort, support and of course joy! Hug someone you love today remember to laugh! How and why did I get RA? You know there is no good, sound, scientific answer to how and why one "gets" RA and this is often a source of real anger, frustration and fear in the early stages of RA. Research has yet to pinpoint any definitive reason or cause for RA. There is some speculation about what might "trigger" the onset but I remember going on in my head about what I might have "done" to cause it. Did I have too much stress? Did I take the wrong medication when I was sick? What about diet? Finally I said enough already and decided that even though my type A personality (you know those of us who like complete control over our lives and do not do well with the unknown) wanted an answer, it would not be forthcoming so move on...and I did...eventually. Reality is - it doesn't matter because it does not change anything. I still needed to find a treatment that worked, that I could embrace while still living a life with the quality that I wanted-no demanded. 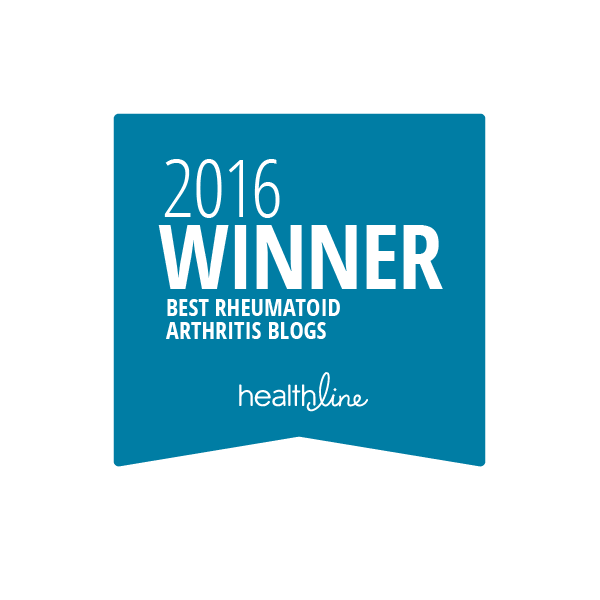 I needed to understand what autoimmune meant, how RA was so very different from traditional OA and how would this effect my life, work, family, friends. Will I still be Nan or someone less whole, less capable, less loveable? Those are what needed to become my focus and once I let go of the "why me?" I could move forward with how best to deal - no manage - RA. Remember to have a good laugh and smile at someone today! defining RA - sooo confusing to explain to others! Without a doubt one of the toughest parts of dealing with RA, believe it or not, is trying to make others understand how it is different, sooo different, from "traditional" arthritis. So what is it? Well, Rheumatoid Arthritis is first of all an autoimmune disease which means that those of with RA have bodies that think our joints are in trouble and need help! To do this, a response is triggered which sends those pesky white blood cells and other body chemicals rushing to the joints that lead to what characterizes this progressive disease...that is...pain, swelling, inflammation, and joint deformity and erosion if proper treatment is not initiated early. Just as diabetes or asthma are autoimmune so is RA. I am purposely explaining this in non medical terms so that anyone reading this can then take it and share it with others.....it is NOT the arthritis that most of us think of which is related to aging, overuse or injury. They are ENTIRELY DIFFERENT. The only thing they have in common is the pain and involvement with joints. Otherwise NADA! This is so important. Remember, smile, and hug someone you love today! Wow - I am really doing this! I have considered doing a blog for many years and today I just decided to go for it so here I am. What is really funny is that I have never been one to journal even though my husband and one of my three sons have journaled for many years. I have always envied their dedication and so now 15 years into RA, I am going to give it a try. I don't often undertake something without a purpose and this is no different. In just about a month I will be launching an RA Support Group in my community and so I thought this might be the perfect way to get the word out and to record the progress or lack thereof of this new endeavor. I just stepped back from two very time consuming but incredibly rewarding boards that I served on for nearly 8 years so I have some time to invest and it seems that it is time for me to dedicate some time and effort to my own personal journey with RA. That said I will post a lengthier entry that will provide some of the details as I go along here but I just want anyone who happens upon this to understand that RA is a disease that need not rule your life. I had to learn that and it took time, lots of time but in the end I realized that it was probably the single most important lesson. I learned that although there is much you cannot control about RA (and that is a blog entry all its own that I will cover another time) you can control your mental attitude towards it. I am firm believer in the Lincoln quote that says (I am paraphrasing here) we each "decide to be happy and it is a state of mind you choose". I totally subscribe to that as a preamble for all I do and how I live my life. With that thought firmly in place in my approach to life, all else is manageable, including RA. I am not suggesting that sad, painful, frustrating, difficult days are not part of my life just that they do not RULE my life. I simply refuse to let them take over. Period. My family, my work, my life are too important and priceless to me to ever let that happen. I will not relinquish the joy in my life to anything, especially a disease I know can be managed. Humor is the other key to successfully managing RA as odd as that sounds. I can laugh at nearly everything I have been through and that is critically important. So there you have my fundamental operating principles. Lots more to share. Stay tuned.